Cookbook sneak peeeeeek! As you may already have deduced (from my shameless, hammering “reminders,” perhaps), the cookbook I made for you comes out in 27 days! <——– That’s it! Holy sheet pans, Batman. I’ve got to say, putting work out there, work you’ve spent hours and days and weeks and YEARS honing, is totally nerve-racking and a little bit terrifying, but I’m really quite proud of this little book, and I can’t wait to show it to you! In that vein, I thought you might like some pears. 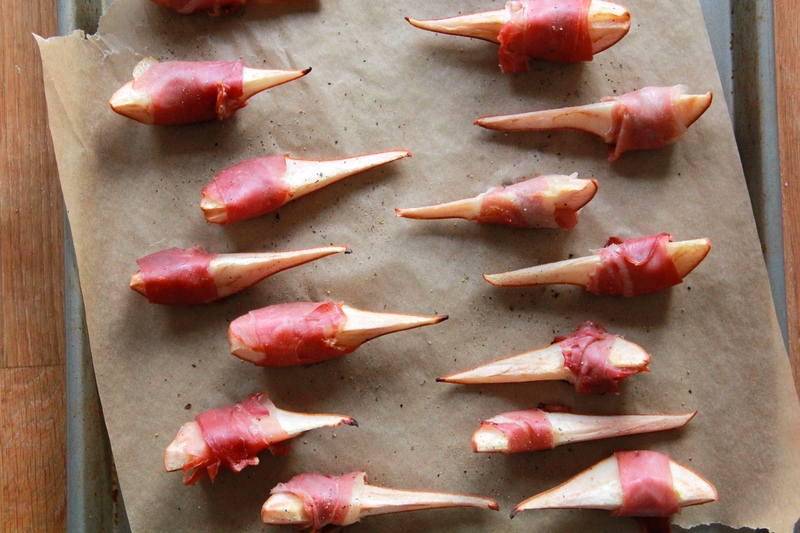 Wrapped in some salty prosciutto and baked until tender and warm? 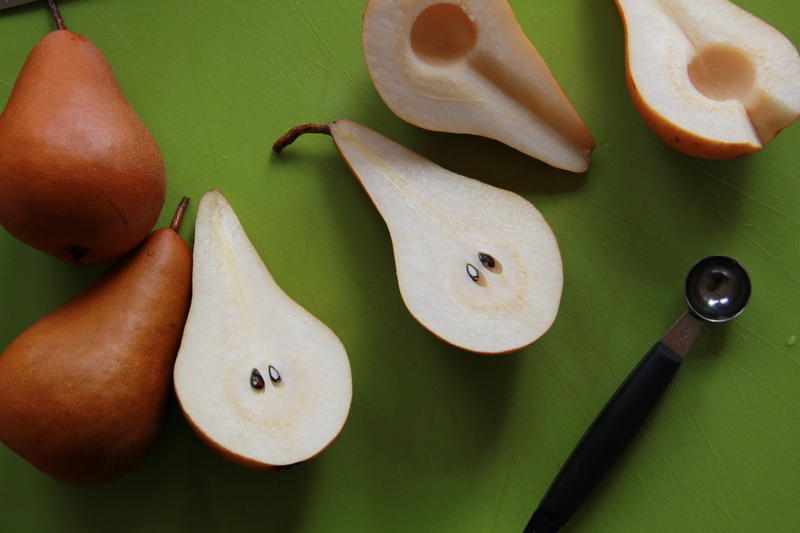 It can be hard to tell if a pear is ripe for eating— especially Bosc pears, which are generally quite firm. Here’s the trick: Gently touch the flesh at the pear’s neck, just under the stem. If it’s rock hard, move on—it’s not ready. If it yields slightly, it’s ripe and good to eat. Preheat the oven to 400°F with a rack in the upper third. Line a sheet pan with parchment paper. 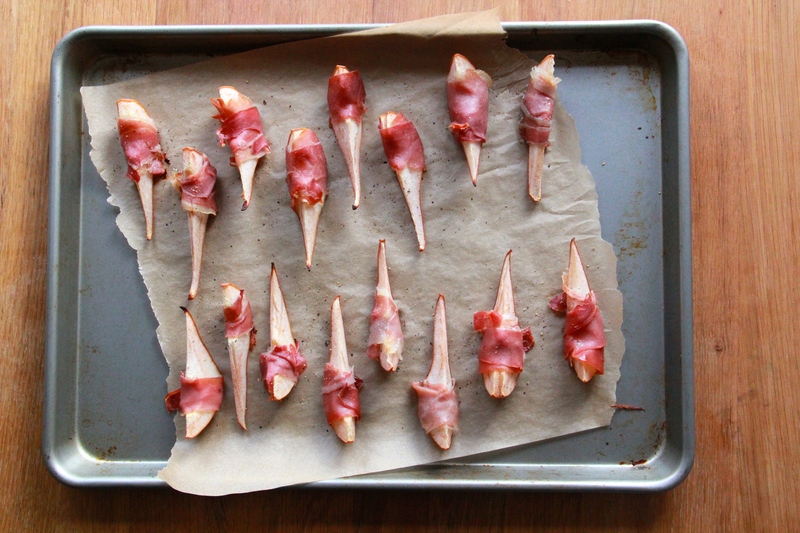 Wrap a strip of prosciutto tightly around each pear wedge, placing the pears skin side down on the prepared pan as you go. Make sure to leave some room between pears on the pan. Sprinkle plenty of ground black pepper atop the prosciutto- wrapped pears. 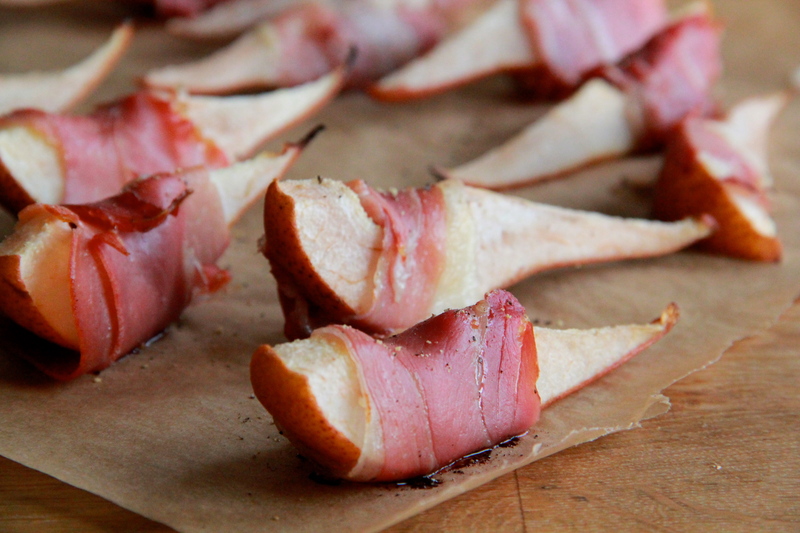 Bake until the prosciutto is firm and crisp and the pears are tender, their tips nicely charred, 15 to 18 minutes. Serve warm, while the pears are meltingly tender inside their crisp shells. Thinking of pairing( or pearing, with today’s recipe!) 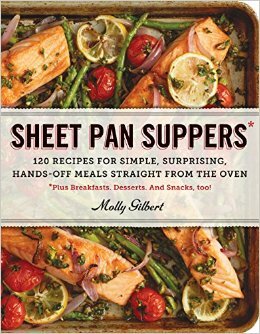 cookbook with a sheet pan for holiday gifts. What is your favorite sheet pan? Hi Deb – great question! I’ll make sure to mention this in my next post, but I love a good, sturdy, aluminum or stainless steel sheet pan. Chicago Metallic and Sur La Table make nice ones, or you can get them extra cheap from a restaurant supply store!